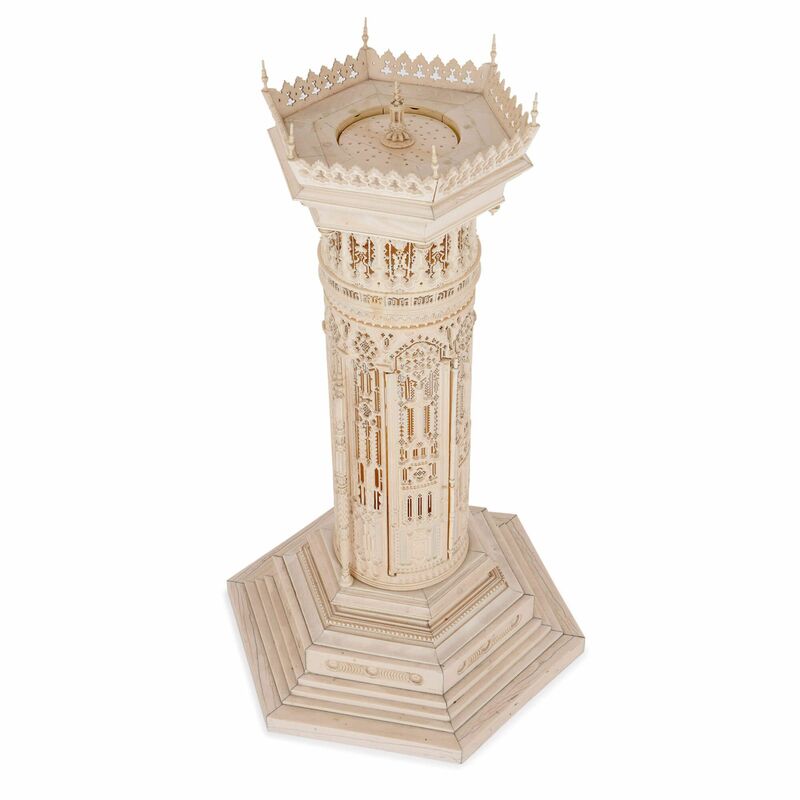 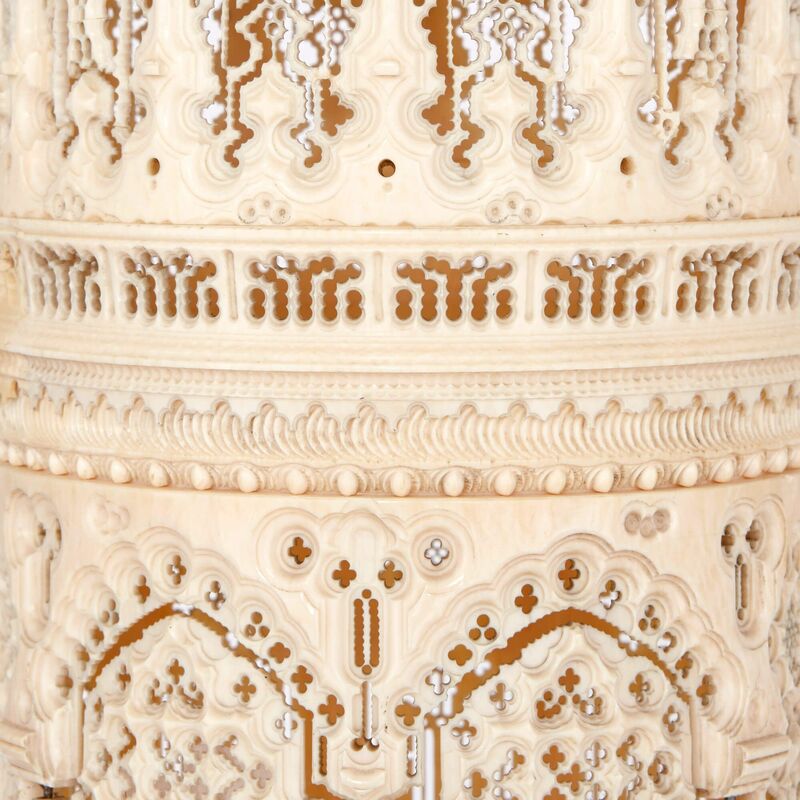 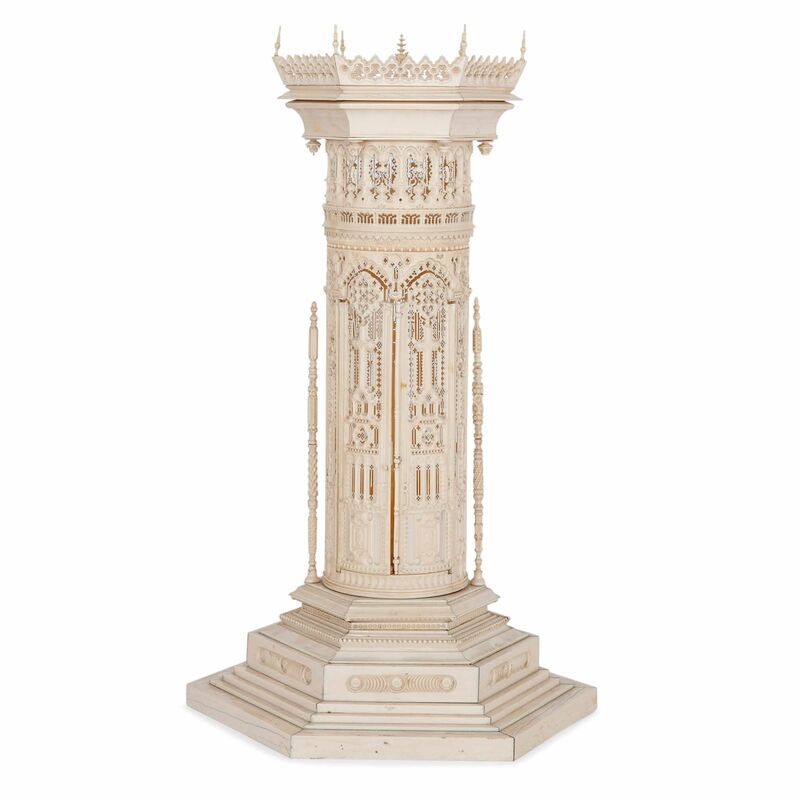 This grand architectural model is notable for the highest quality of ivory carving, carried out with supreme skill and exceptional attention to detail. 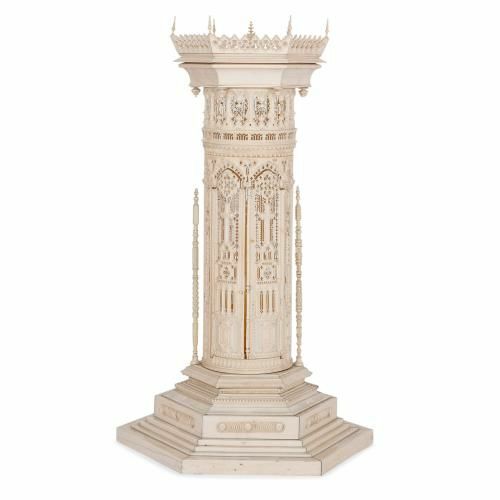 This skillfully carved ivory model of a tower exhibits the very best of the Gothic revival style, which swept across Europe in the 19th Century. 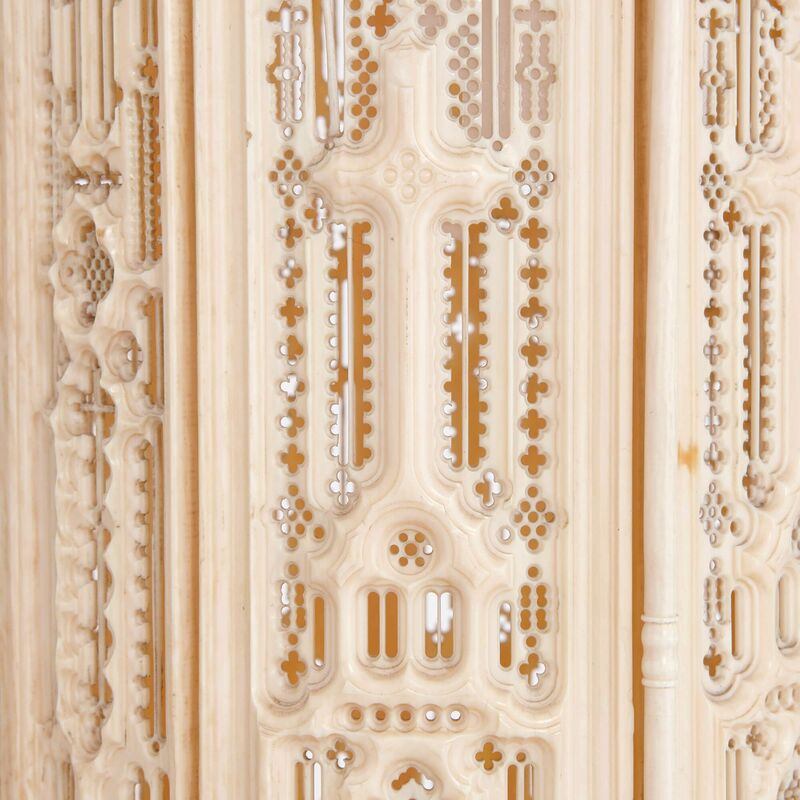 The tower is of cylindrical form, and features exceptionally fine and highly intricate pierced Gothic tracery all around. 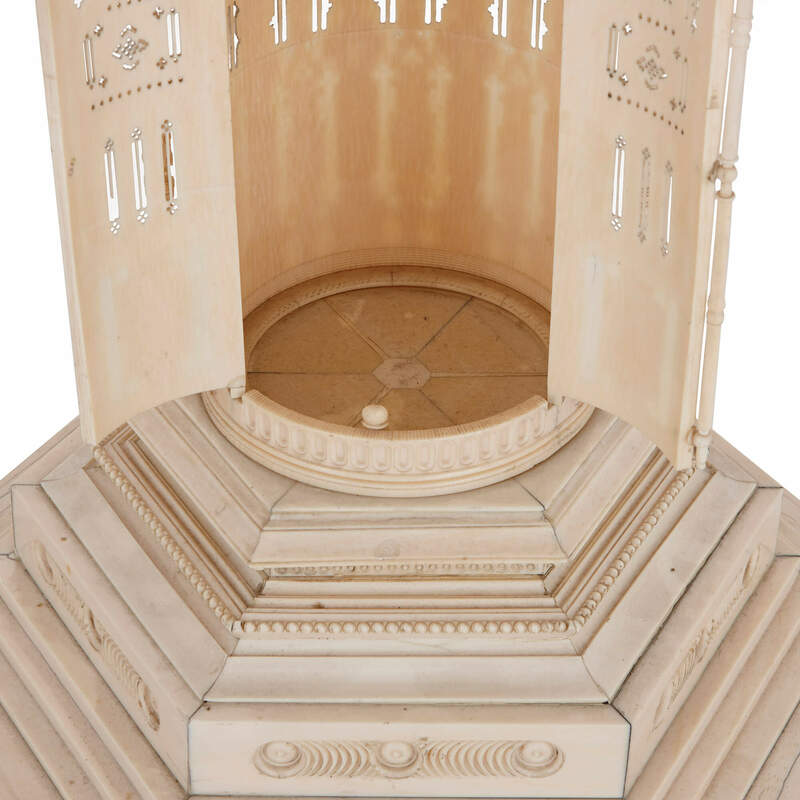 To the front of the tower are two doors set with pointed arches, which open outwards to reveal the hollow interior, flanked on either side by tall, slender poles with carved beading. 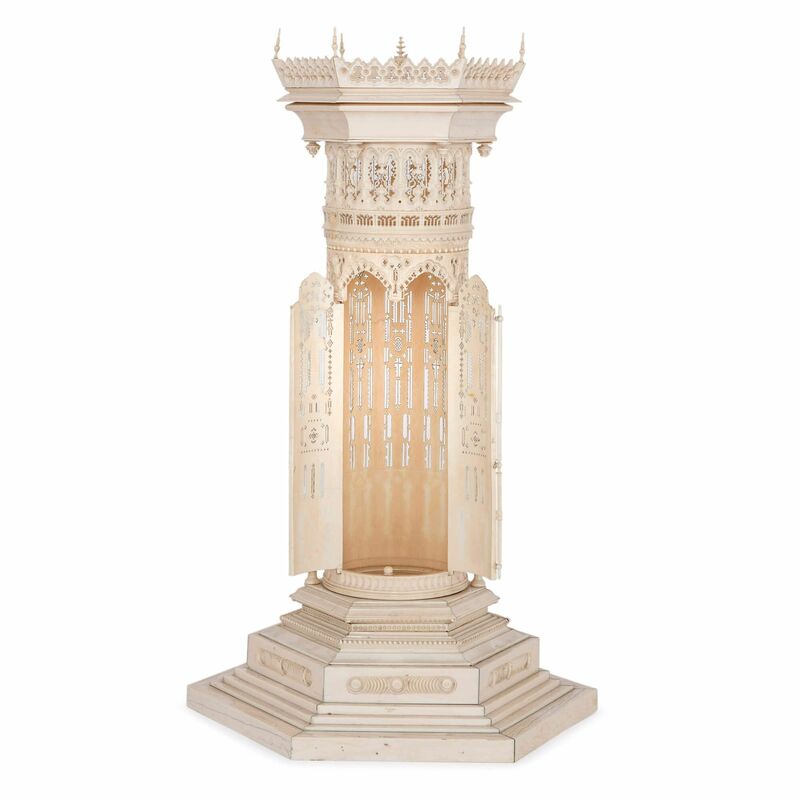 The tower is supported on a stepped hexagonal base, constructed in oak with an ivory veneer. 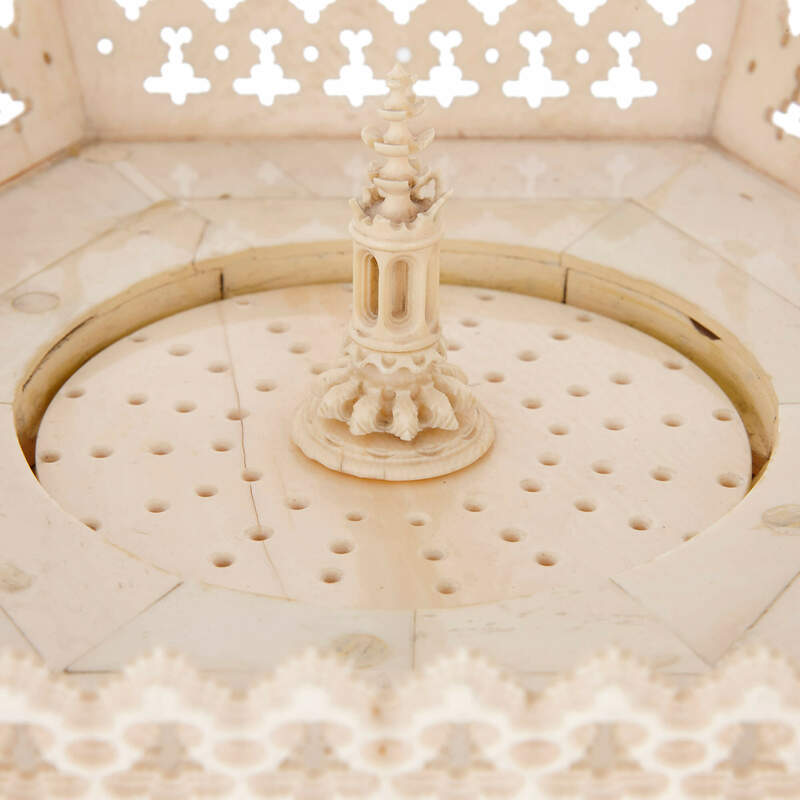 The piece is surmounted by a hexagonal balustrade, which mirrors the shape of the base, and is pierced all around with fine Gothic style tracery.